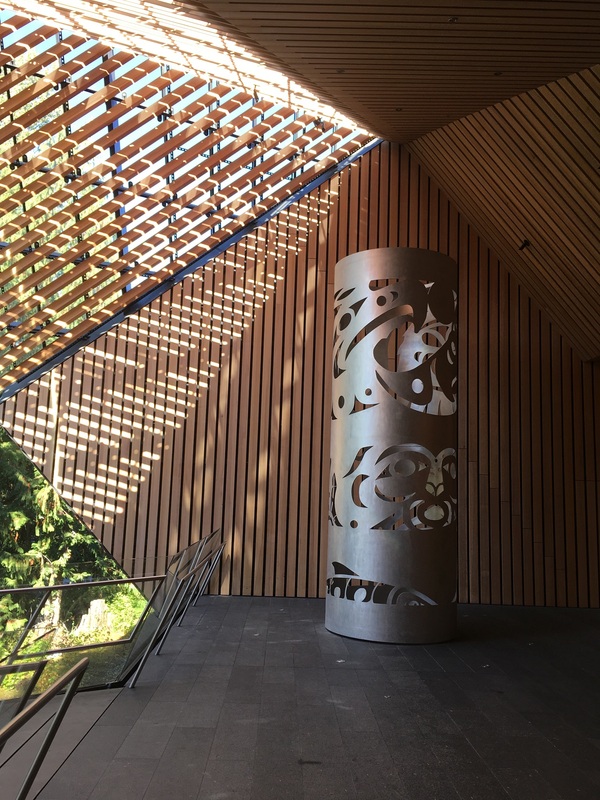 Built in Whistler, by Vancouver builder and philanthropist Micheal Audain, the collection and the architecture are a worthy visit next time you are on the mountain. 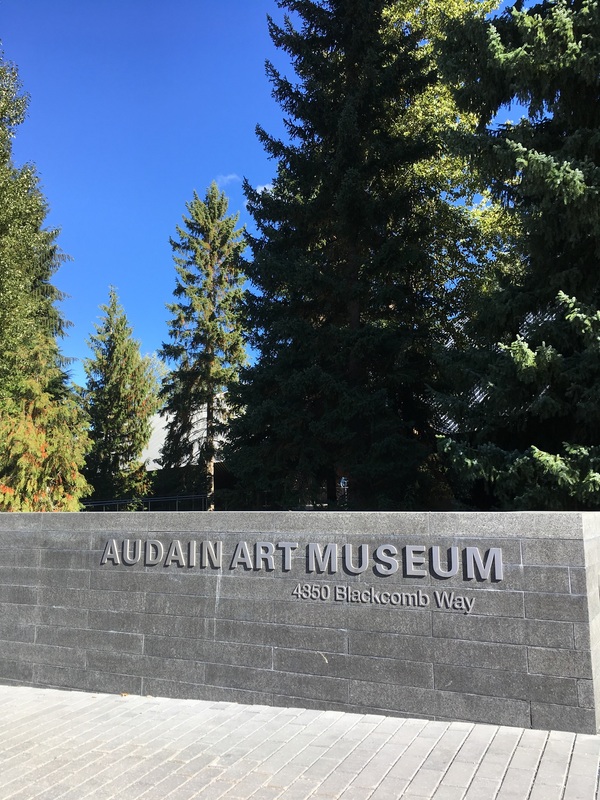 the Audain Art Museum houses Micheal Audain”s British Columbia Art Collection. Nestled in the forest next to the Fitzsimmon River facing Blackcomb Way. Taking 3 years to complete, the 56,000 sq’ building has won several architecture awards for Patkau Architects since its completion in 2016. A challenging site to contend with, a floodplain, enormous snowfalls and an existing forest to build around were challenges. 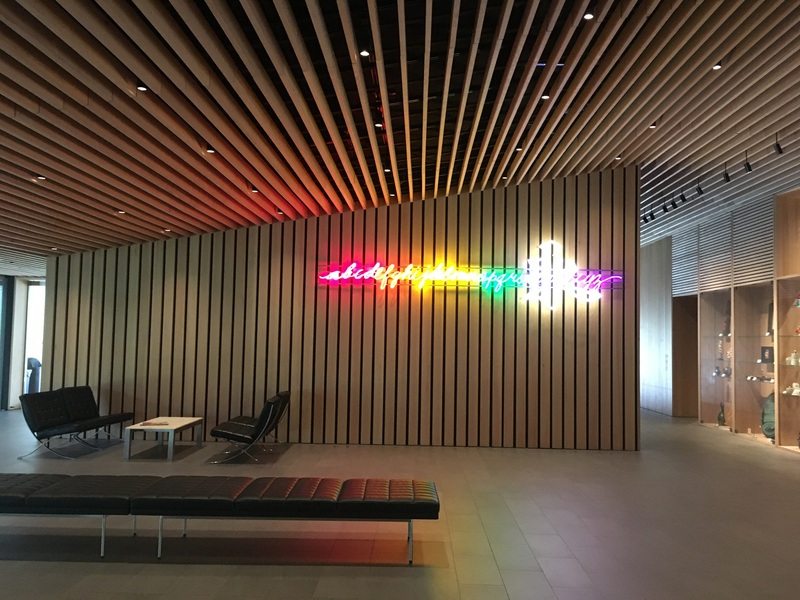 The lobby area of the museum. 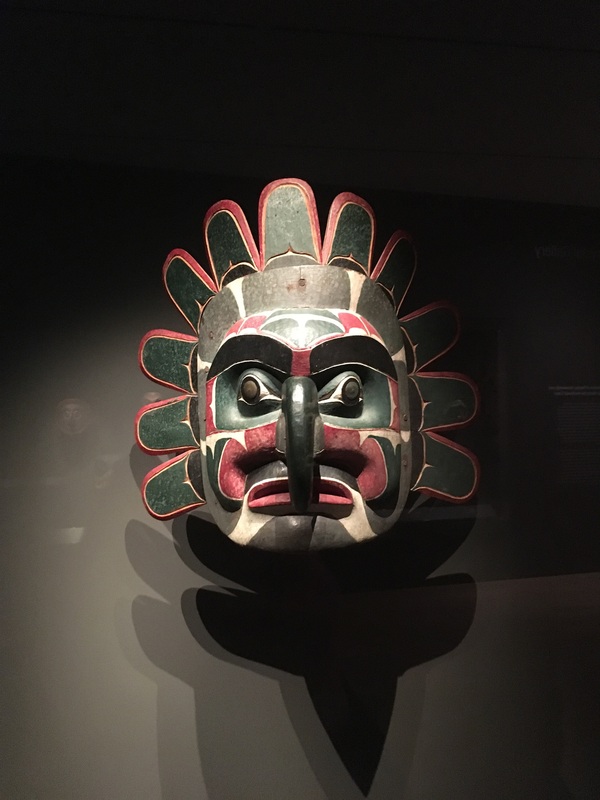 Historic West Coast aboriginal masks. 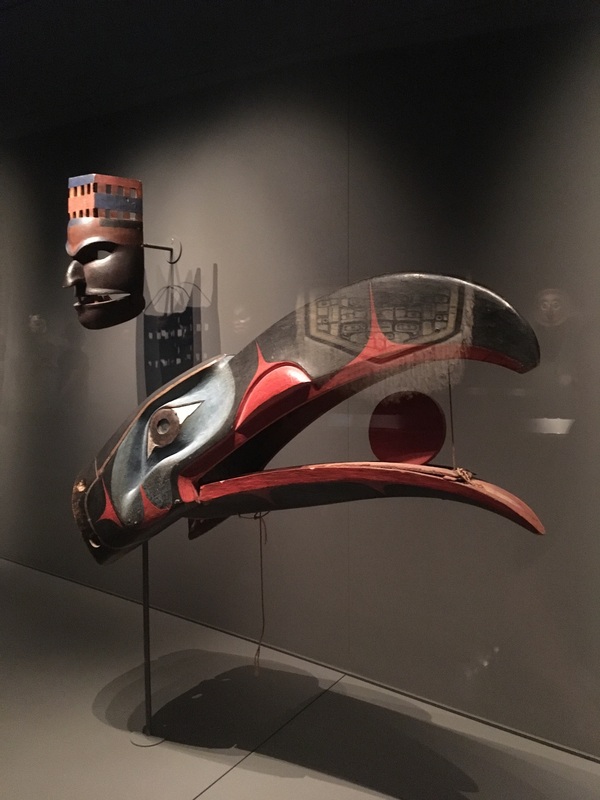 Determining origins or cultural ethnicity of earlier works and carvings is difficult as often chiefs and leaders commissioned pieces by the artisan class and they were given as gifts throughout the region, and others would incorporated style and design of others in their work. 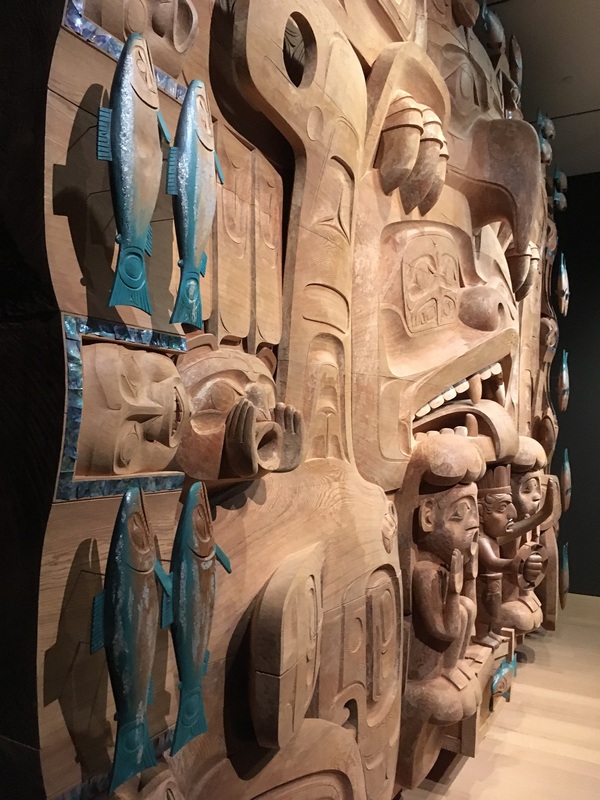 I loved this huge 3 dimensional wall panel, detail of the salmon and orca and bear with added abalone and copper. 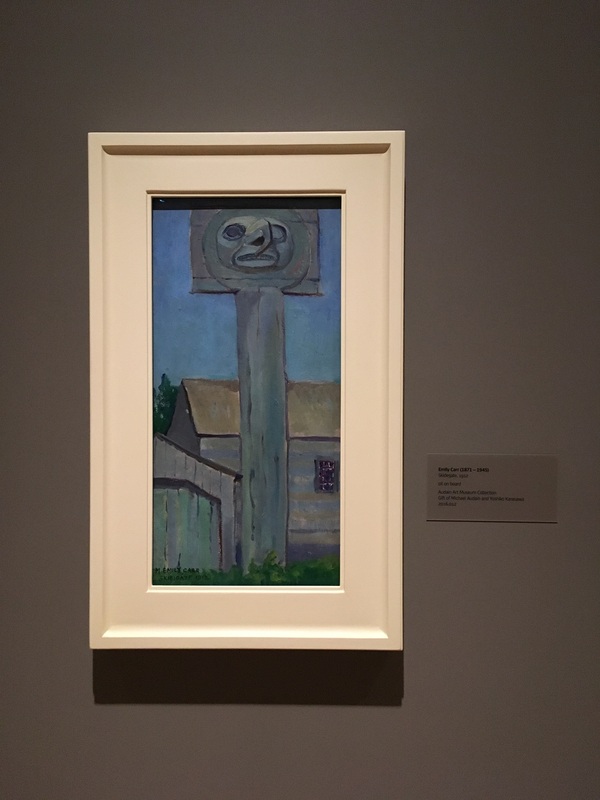 I recommend a visit to the Audain Art Museum next time you are in Whistler. My name is Sue Womersley, Designer of Interiors + Cabinetry in White Rock, BC. 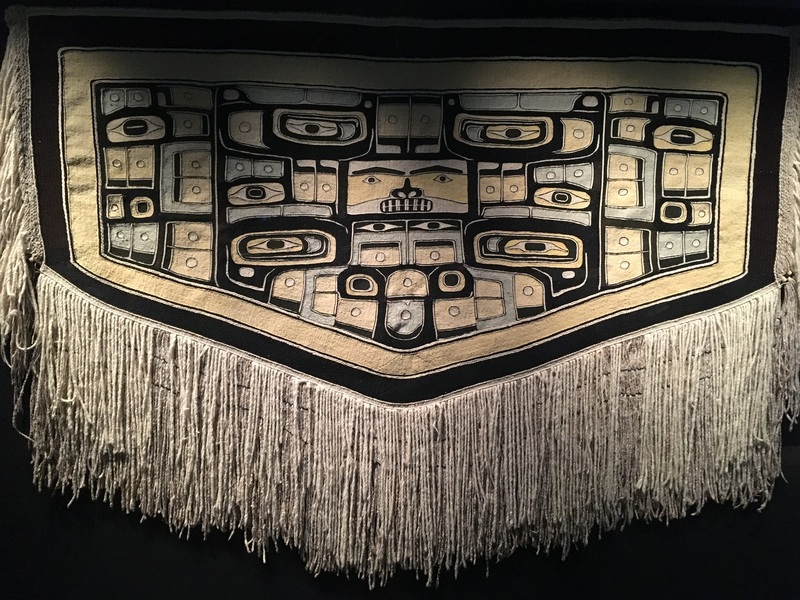 Sharing my love of design, the West Coast, photography and travel with you.